We handled festival publicity, social media and both the UK and North American release campaigns for The ReZort starring Dougray Scott Jessica De Gouw, Martin McCann, Elen Rhys, Claire Goose and Jassa Ahluwalia, the horror movie that offers a fresh twist on the zombie genre. The ReZort sets its story in a world after an almost-apocalyptic zombie outbreak. Humans have won the war and are exploring how humanity can recover after such a huge percentage of the population has been wiped out. Humankind finally has the upper hand, but Melanie, who lost her entire family, is still deeply traumatized. In a bid to overcome the demons of her past, she goes on a zombie safari retreat. It is the ultimate in therapeutic revenge. That is until the resort’s security system is hacked and a computer virus crashes it, potentially unleashing thousands of bloodthirsty zombies back into the wild. 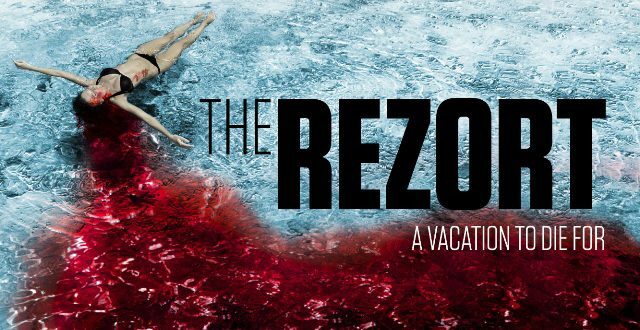 We looked after the Edinburgh International Film Festival world premiere and press junket, Film 4 FrightFest festival publicity, social media, and both the UK and North American general release of The ReZort. Publicity highlights in the UK include The Scotsman, BBC Scotland, BBC News Online, The Guardian, Daily Herald, Evening Times, Sunday Mail, Daily Mail Online, The Independent, The Skinny, Screen Daily, Film News, SciFi Now, FrightFest Magazine, Starburst Magazine, SFX Magazine and Horror Channel. Publicity highlights in North America include The Hollywood Reporter, Yahoo.com, MoviePilot, We Got This Covered, ComingSoon.net, Joblo.com, Flickering Myth, Bloody Disgusting, Fangoria and Dread Central. Additional media coverage was placed with several other targeted media outlets dedicated to the horror genre in both the UK and North America.